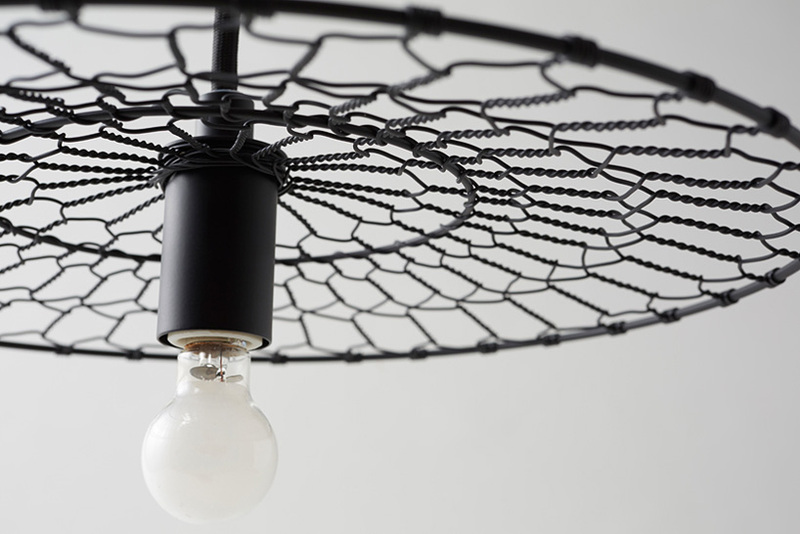 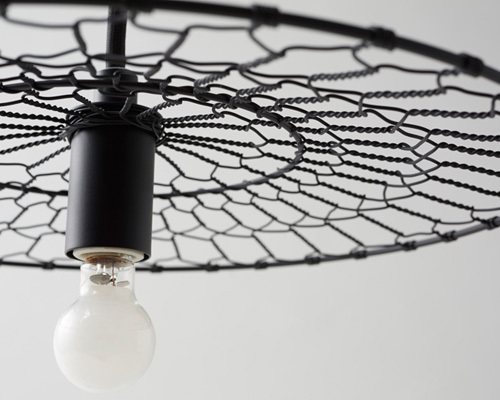 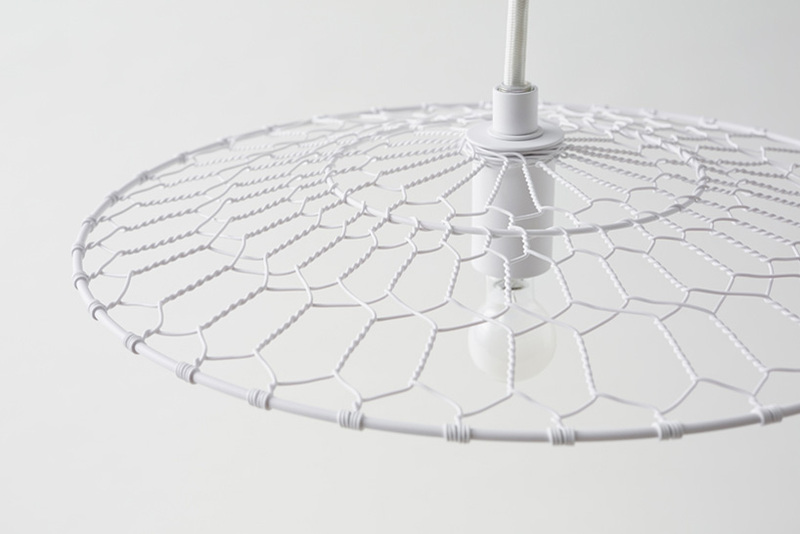 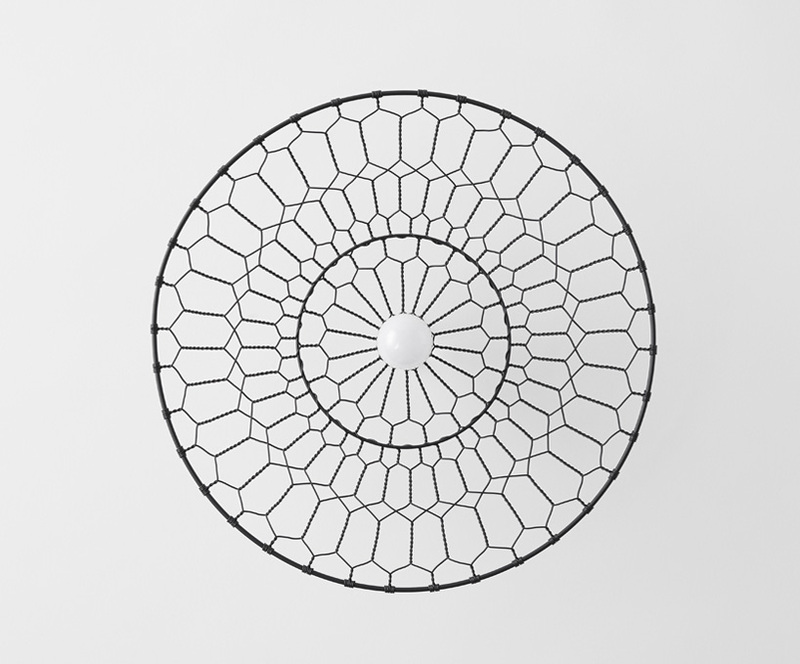 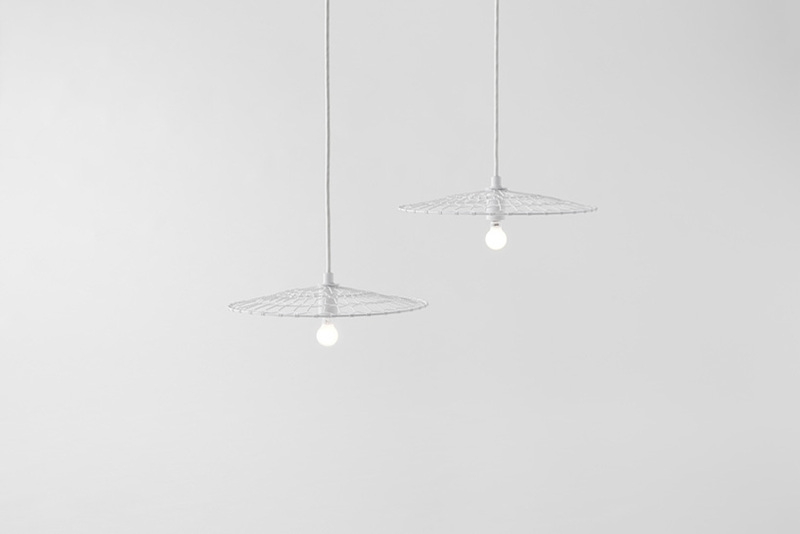 nendo, in collaboration with kanaami-tsuji — a kyoto-based wire netting firm — have created ‘basket-lamp’ whose design is based off wire netting (‘kana-ami’) cooking utensils made by kyoto artisans, used as part of their cuisine for over a thousand years. 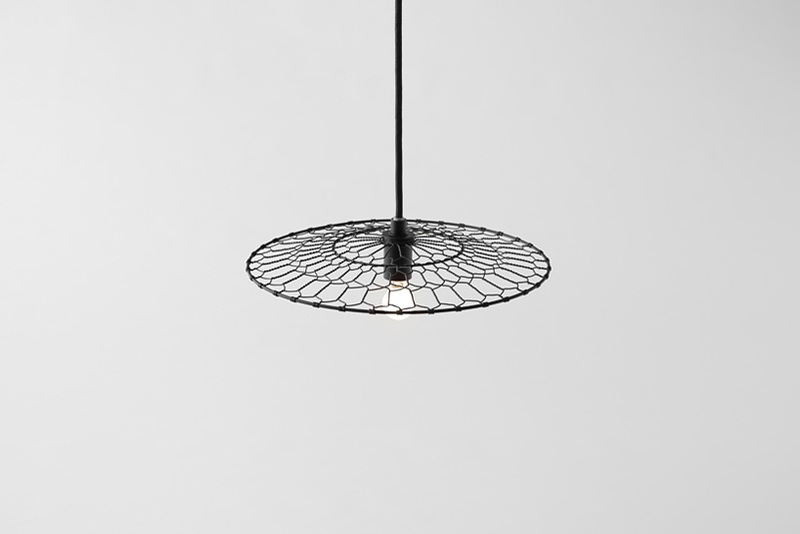 the handcrafted shade’s woven pattern reflects various geometries onto the surrounding environment, peeking through the knotted and twisted metallic mesh. 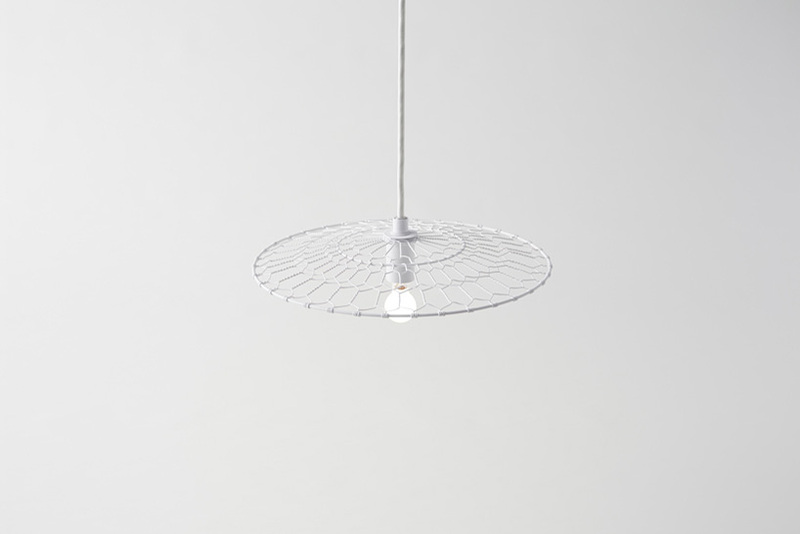 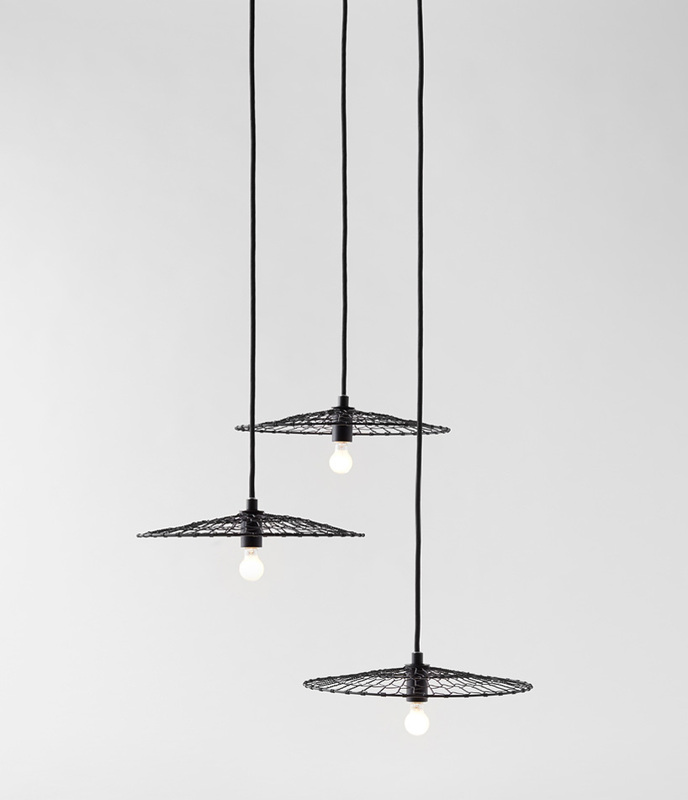 the surface of each luminaire is finished with a powder paint in both black or white to boldly express each silhouette.